Macy's $10 Off $25 AND $20 Off $50! You are here: Home / Great Deals / Macy’s $10 Off $25 AND $20 Off $50! 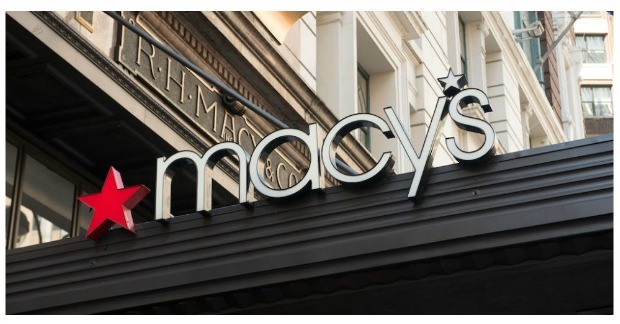 Macy’s $10 Off $25 AND $20 Off $50! You can print your Macy’s WOW!PASS and get $10 off your purchase of $25 or more! Present to Sales Associate at checkout. See below for other details. IN-STORE EXCLUSIONS: Deals of the Day, Doorbusters, Everyday Values (EDV), specials, super buys, cosmetics/ fragrances, electrics/electronics, floor coverings, furniture, mattresses, rugs. Also excludes: athletic apparel, shoes & accessories; Dallas Cowboys merchandise, gift cards, jewelry trunk shows, Macy’s Backstage merchandise/locations, New Era, Nike on Field, Jack Spade, Kate Spade, The North Face, Samsung Watches, Tumi, previous purchases, selected licensed depts., services, special orders, special purchases. Cannot be combined with any savings pass/coupon, extra discount or credit offer, except opening a new Macy’s account. Dollar savings are allocated as discounts off each eligible item, as shown on receipt. When you return an item, you forfeit the savings allocated to that item. This coupon has no cash value and may not be redeemed for cash, used to purchase gift cards or applied as payment or credit to your account. Purchase must be $25 or more, exclusive of tax and delivery fees. You can print your Macy’s WOW!PASS and get $20 off your purchase of $50 or more! IN-STORE EXCLUSIONS: Deals of the Day, Doorbusters, Everyday Values (EDV), specials, super buys, cosmetics/ fragrances, electrics/electronics, floor coverings, furniture, mattresses, rugs. Also excludes: athletic apparel, shoes & accessories; Dallas Cowboys merchandise, gift cards, jewelry trunk shows, Macy’s Backstage merchandise/locations, New Era, Nike on Field, Jack Spade, Kate Spade, The North Face, Samsung watches, Tumi, previous purchases, selected licensed depts., services, special orders, special purchases. Cannot be combined with any savings pass/coupon, extra discount or credit offer, except opening a new Macy’s account. Dollar savings are allocated as discounts off each eligible item, as shown on receipt. When you return an item, you forfeit the savings allocated to that item. This coupon has no cash value and may not be redeemed for cash, used to purchase gift cards or applied as payment or credit to your account. Purchase must be $50 or more, exclusive of tax and delivery fees.